Here is how the angelic spirit of the grape is gradually transformed into a demon. 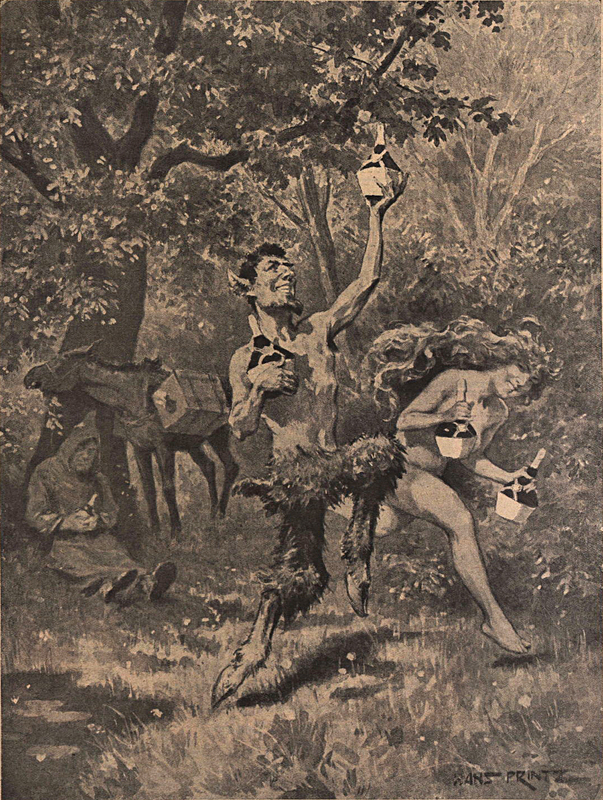 From Lustige Blätter, 1908. 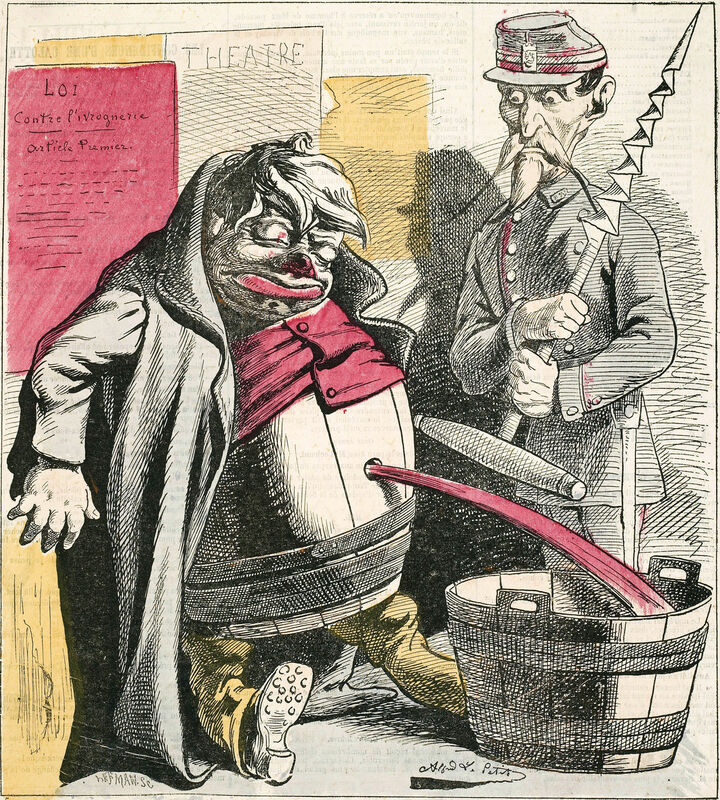 A last drink on the house, from London Society, 1879. 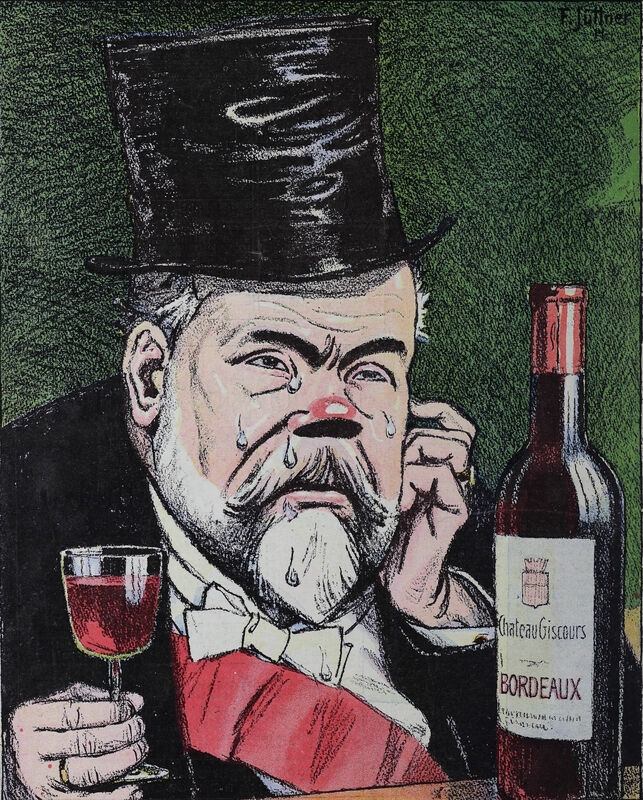 Here's a precursor to Orson Welles being reduced to making wine commercials. 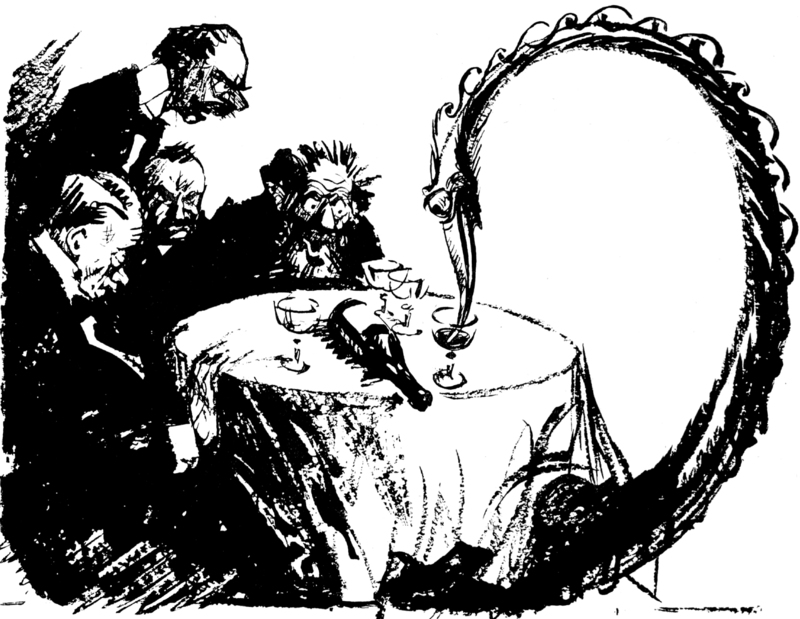 From Lustige Blätter, 1914. 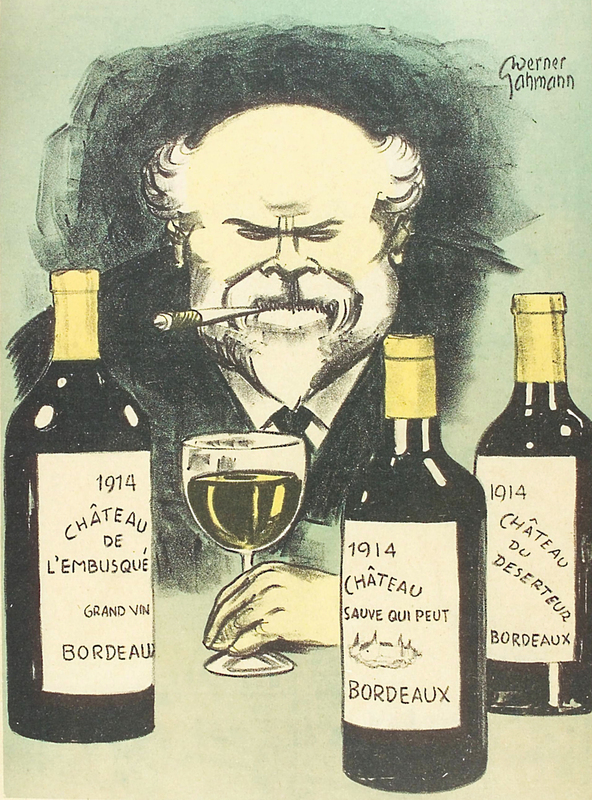 Previously, we saw this other precursor to Orson Welles' wine ads. 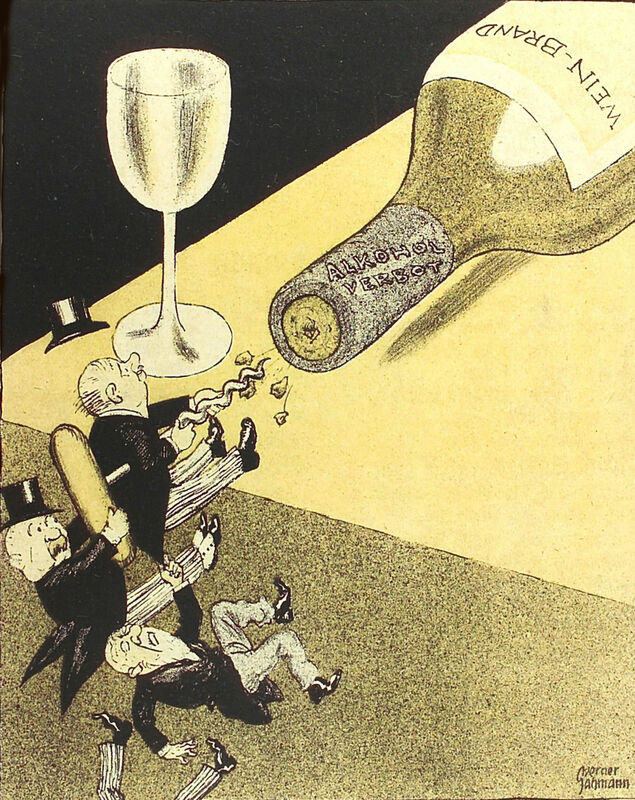 Here's a precursor to Orson Welles' wine commercials for Paul Masson. From Kladderadatsch, 1926. 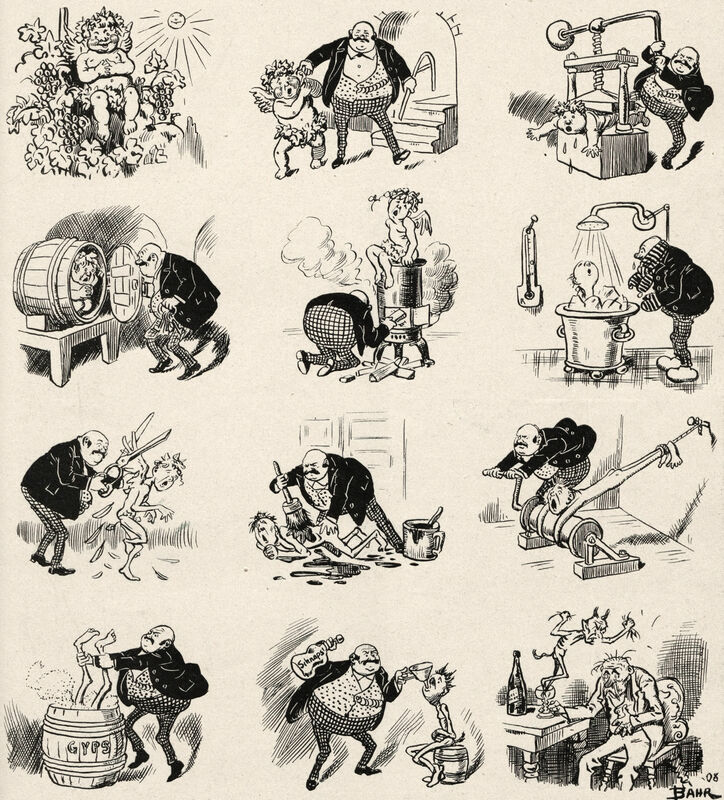 "He succeeded in obtaining some wine from the cask," from The King's Own by Frederick Marryat and illustrated by F. H. Townsend, 1896. A toast to Mystery! 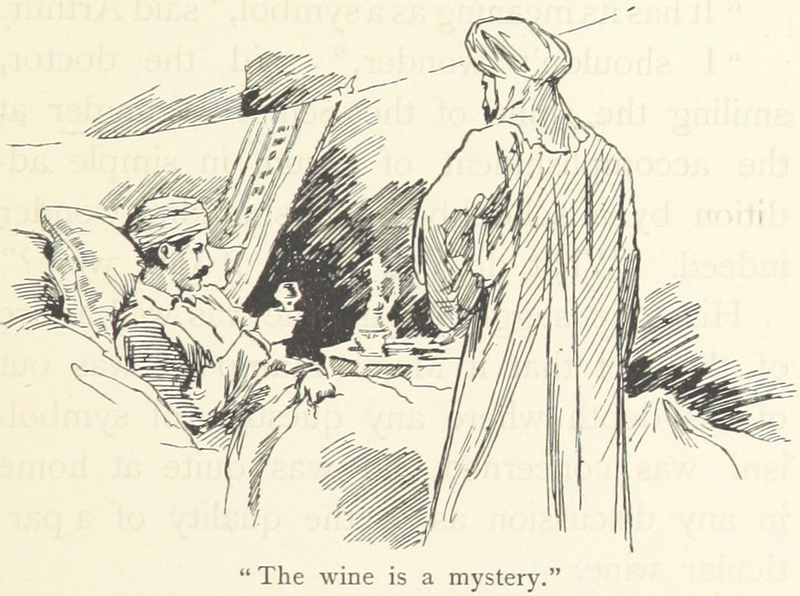 The caption reads, "The wine is a mystery." From The Secret of the Court by Frank Frankfort Moore, 1895. 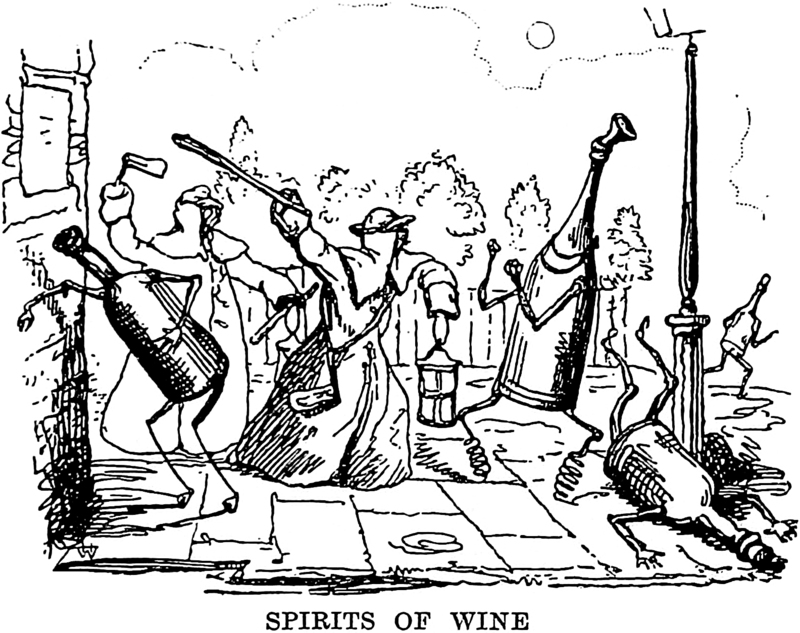 "Spirits of wine," from The Oxford Thackeray. 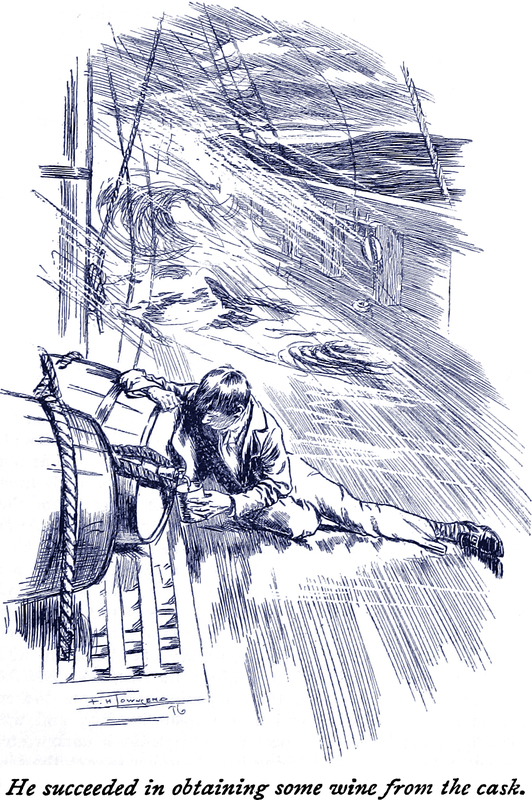 "The wine circulated languidly," an illustration from Handley Cross; or, Mr. Jorrocks's Hunt by Robert Smith Surtees, 1892. 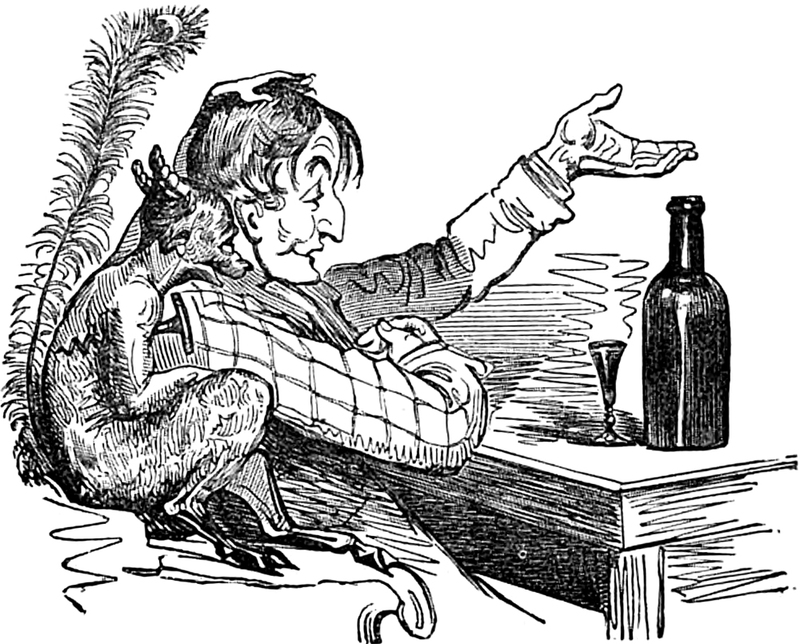 Here's "the genius of the cork," the imp of drunkenness ("angel or devil according to contending moralists") who sits with every solitary drinker, taking not a drop himself but telling stories and singing songs and filling your gaping pockets with ideal gold. 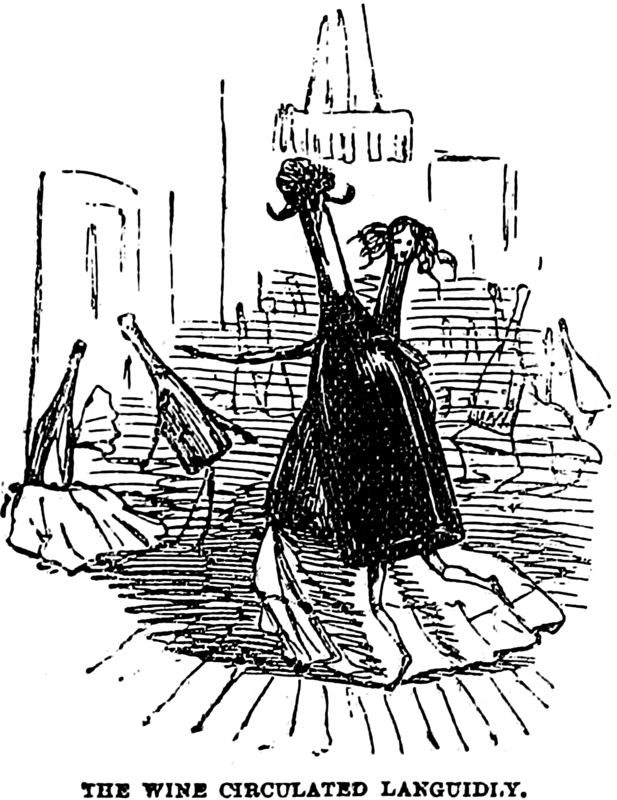 (Punch, 1842). This should also be of interest: How to Believe in Your Elf. 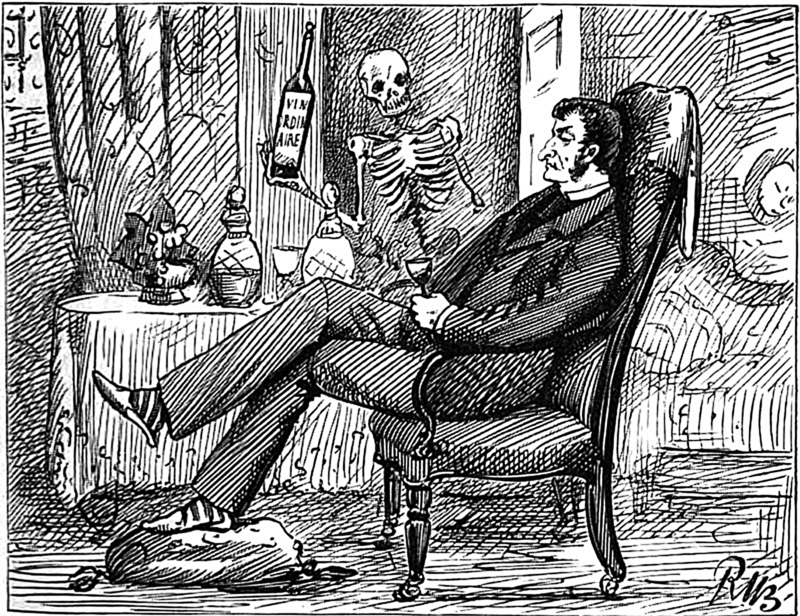 From Prof. Oddfellow's sketchbook: "Wine's skeleton resembles both a corkscrew and a vine." For more eccentricities, see our collection of "Forgotten Wisdom." Relatedly, here's a Pompeian mosaic of a skeleton holding two wine jugs.